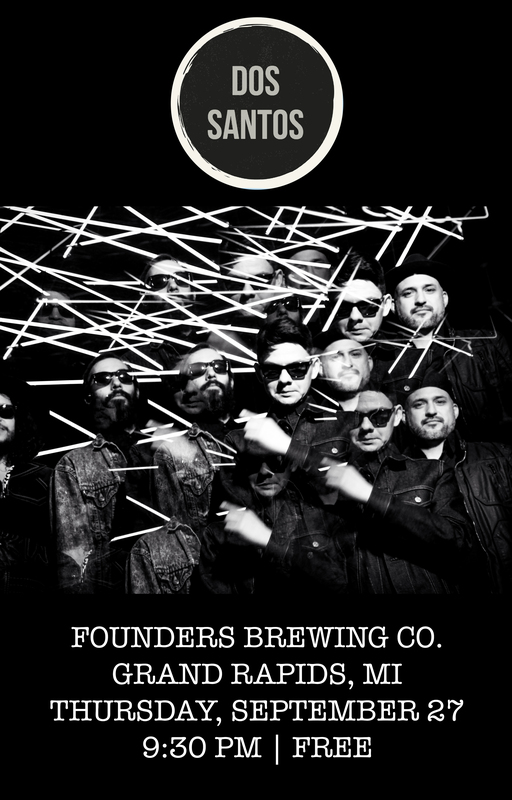 Dos Santos - Founders Brewing Co.
Dos Santos is a Chicago-based band grounded in the sounds of popular Latin American dance genres with psychedelic flare, from Colombian Cumbia to Afro-Caribbean Salsa. A sound inflected by reverbslathered guitars, Hammond organ, and syncopated percussion, their progressive imaginary expresses the present-tense realities of Latina/o musical expression that simultaneously harken back to the “golden age” of streamlined ensembles of the 1970s and 80s that shook sweatbox dance floors with fierce energy all over Latin America. 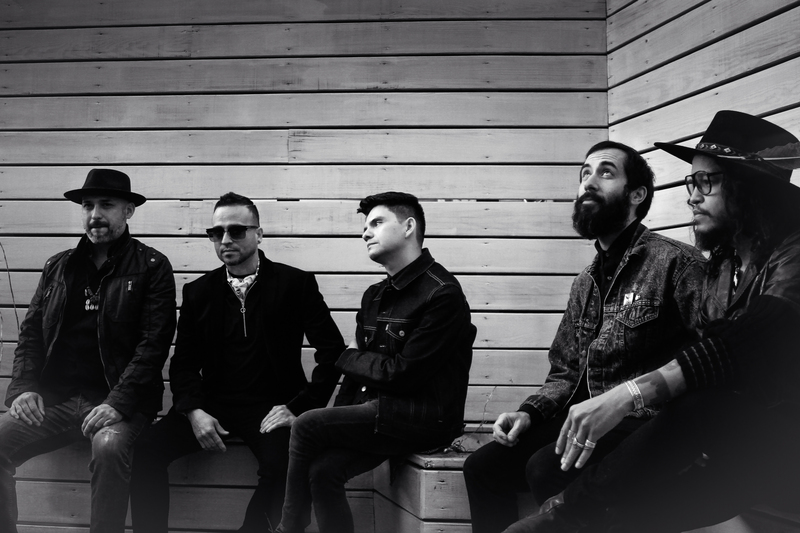 The group’s five members (Peter Vale, Alex Chavez, Daniel Villarreal-Carrillo, Jaime Garza, Nathan Karagianis) have their own storied careers in a range of styles—including jazz, R&B/soul, traditional Mexican folk, punk, salsa, and electronica—in addition to a history of critical involvement in arts education and social justice organizing. Their visceral sound draws from this sonic, cultural, and political well of influence, and is guaranteed to make you move.